J.M. Andrews has been a professional journalist for more than 20 years. She specializes in health and medical content for consumers and health professionals. Andrews' background in medicine and science has earned her credits in a wide range of online and print publications, including "Young Physicians" magazine. If you're pregnant or have experienced very fast weight loss, you're at risk for developing gallbladder sludge, according to Massachusetts General Hospital. This sludge, which accumulates in the bottom of your gallbladder, can cause more serious gallbladder problems. It's possible that a low-fat diet, which physicians recommend for gallstones, may help with gallbladder sludge as well. Your gallbladder helps in digestion by storing and excreting bile that's formed in the liver, according to the National Institutes of Health. Bile helps in digestion, especially in the digestion of fats. Many people are familiar with gallstones, most of which form from cholesterol in the gallbladder. But your gallbladder also can accumulate sludge, which forms from cholesterol and calcium bilirubinate, according to the University of Maryland Medical Center, or UMMC. Gallbladder sludge usually forms before gallstones, according to the UMMC. If too much cholesterol accumulates in the gallbladder, sludge forms first. If the problem worsens, then cholesterol crystals can form, eventually leading to gallstones. Sludge in your gallbladder also can cause inflammation and painful symptoms that could lead to the need to remove the gallbladder itself, according to Massachusetts General Hospital. Physicians generally recommend a diet low in fat and cholesterol to help treat gallbladder sludge and prevent it from occurring in people at high risk, according to Massachusetts General Hospital. To follow this low-fat diet, you should focus on cutting back on saturated fats, which are found primarily in animal-based foods such as meat and high-fat dairy products, reports the UMMC. Switch to lean cuts of beef, pork and chicken, and make certain you choose skim milk and low-fat versions of ice cream and cheese. You also might want to switch from butter to a vegetable-oil-based margarine. There's some evidence that certain fats may help improve gallbladder health, which could help you avoid sludge buildup in your gallbladder, according to the UMMC. 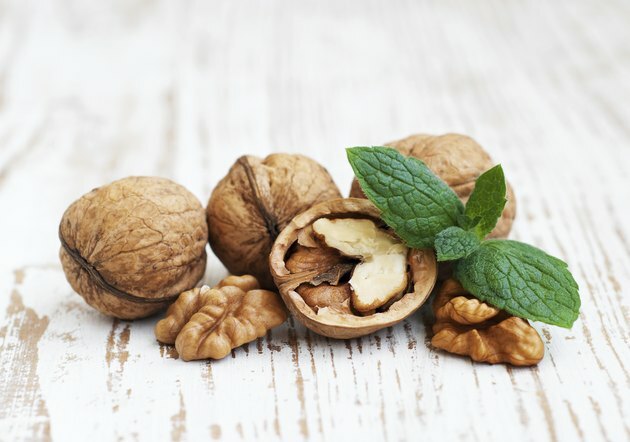 For example, omega-3 fatty acids, which are found in fish oil and walnuts, seem to help your gallbladder empty itself of bile, which can prevent sludge buildup. In addition, monosaturated fats such as those found in canola oil and olive oil may help. You're at high risk for developing gallbladder sludge if you lose a lot of weight very rapidly, according to Massachusetts General Hospital. Therefore, to prevent gallbladder sludge from forming, you should avoid fad or crash diets that cause you to lose more than 1 or 2 lbs. each week. In addition, fiber may be helpful in encouraging your gallbladder to empty and avoid sludge buildup, according to the UMMC, so make sure to add high-fiber foods to your diet. Can Fish Oil Cause Gallbladder Problems? Can the Gallbladder Prevent You From Losing Weight? What Happens if I Eat a Fatty Meal After Gallbladder Surgery?